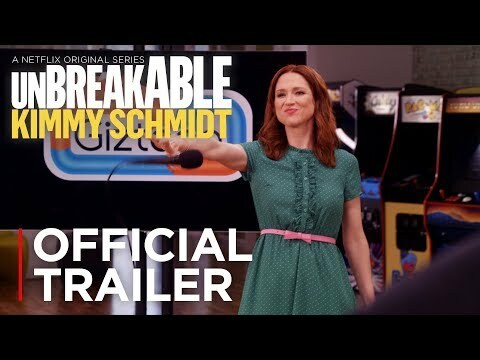 Netflix has released a trailer for the last episodes of Unbreakable Kimmy Schmidt. The fourth season of the comedy, created by Tina Fey and Robert Carlock, starring Ellie Kemper in the title role, has been split into two. The first six episodes dropped in May, and now the streaming giant as announced that the final episodes will land on January 25. The clips shows Kimmy writing and illustrating a children's book The Legends Of Greemulax – and posing as a male author to get it published.